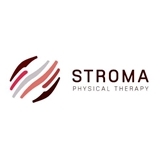 Stroma Physical Therapy (New York) - Book Appointment Online! We believe that an understanding of the human body and movement provides the basis in assessing and treating our patients. While Evidence Based Medicine guides us in a general direction, it is important to assess the person walking through our door since not everyone is reflective of the statistical "mean". With our strong background in anatomy and biomechanics, we analyze each patient and their injury to derive a sound treatment equation. We apply this equation using our ability to palpate tissues effectively and exercise appropriate muscle groups. Through our complete clinical analysis we create the right equation for success, and our hands and unique exercise approach produce the results. Please note, we are an out-of-network provider. This was my first visit to treat a slipped disk in my back. I was in tremendous pain and having difficulty walking, but Dr. Melanie squeezed me in as a last appointment and stayed well after hours to take care of me. I feel improvement already, and cant wait to go back for my next appointment. The therapist was very thorough with her care. She also spent a lot of time going through all my history with me. The best assesment and PT session I ever had!